Some New York YC members engaged Naval Architect Bill Cook to design a boat for one design racing among members and also be competitive in handicap racing under the IOR. FAIR AMERICAN was the first of 60 boats to be built. 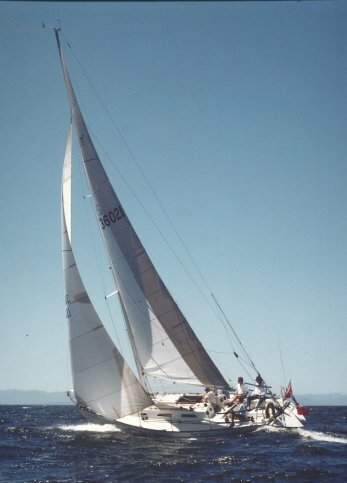 The NEW YORK 36 raced as a class on the annual NYYC Cruise throughout much of the 80's. A number were also sold to non members, especially on the west coast, where class racing took place for a few years.